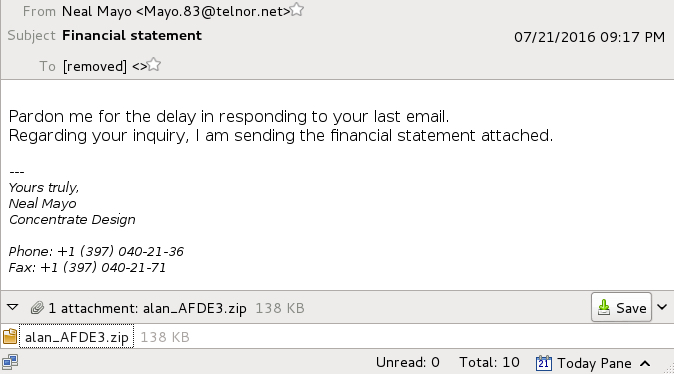 I grabbed 10 examples of emails in this wave of Locky malspam from Thursday 2016-07-21. This time, the .js files did not download Locky from another site. 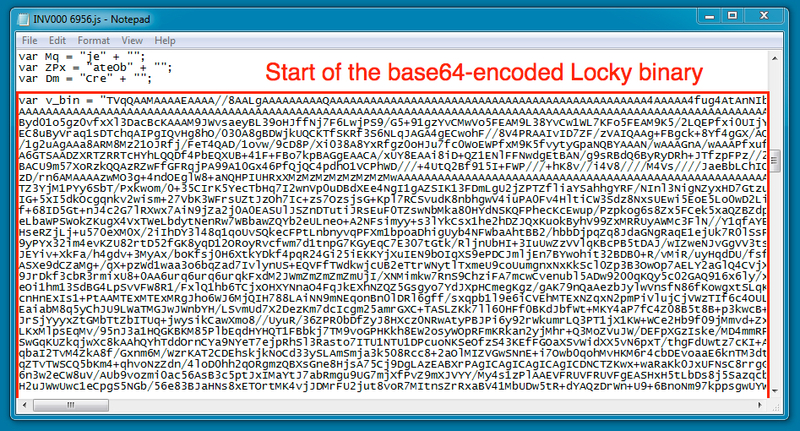 Instead, these Locky samples were encoded as a base64 string in the .js files (see below). Shown above: Text of the emails (example 1 of 4). Shown above: Text of the emails (example 2 of 4). Shown above: Text of the emails (example 3 of 4). 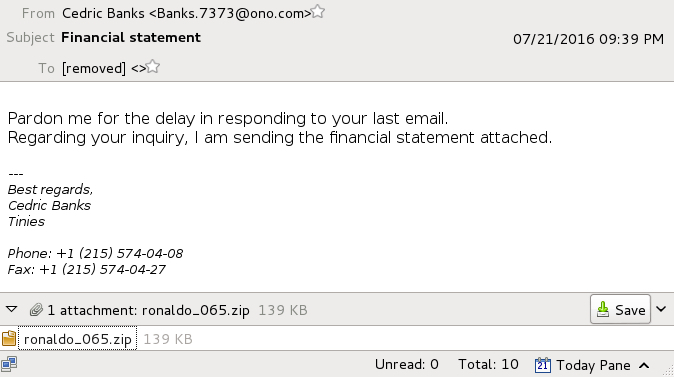 Shown above: Text of the emails (example 4 of 4). 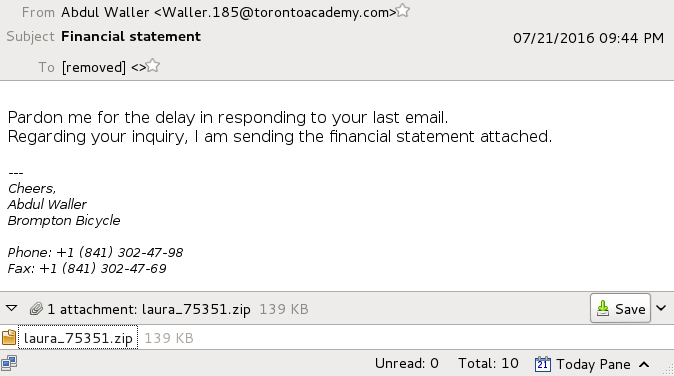 Shown above: An example of the email attachments. If you scroll down in the .js file using a text editor, you'll find a large base64 string that represents the Locky binary. For these files, there was no obfuscation, and you can use an online tool to convert the string into the binary. 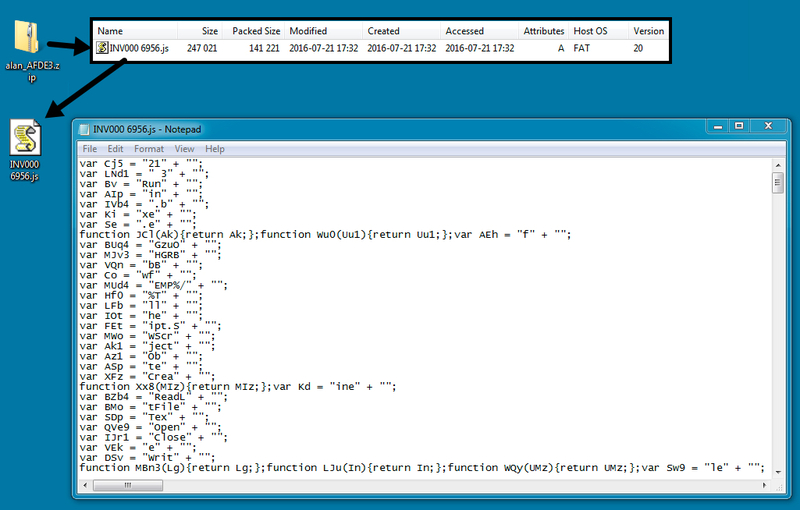 Shown above: Start of the Locky binary stored as a base64 string the the .js file. 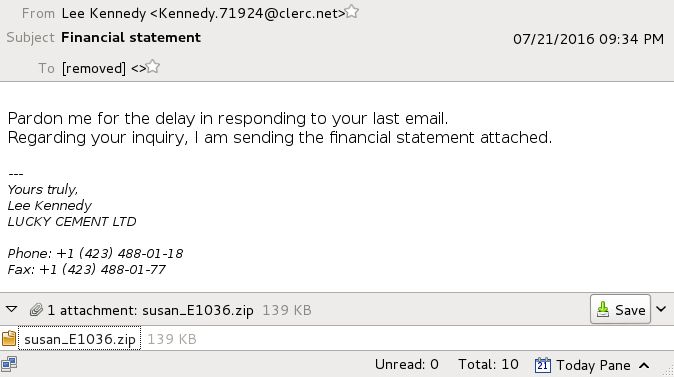 Shown above: An example of Locky post-infection traffic using one of the email attachments. NOTE: These are the same domains found in a previous wave of Locky malspam I blogged about on 2016-07-12. 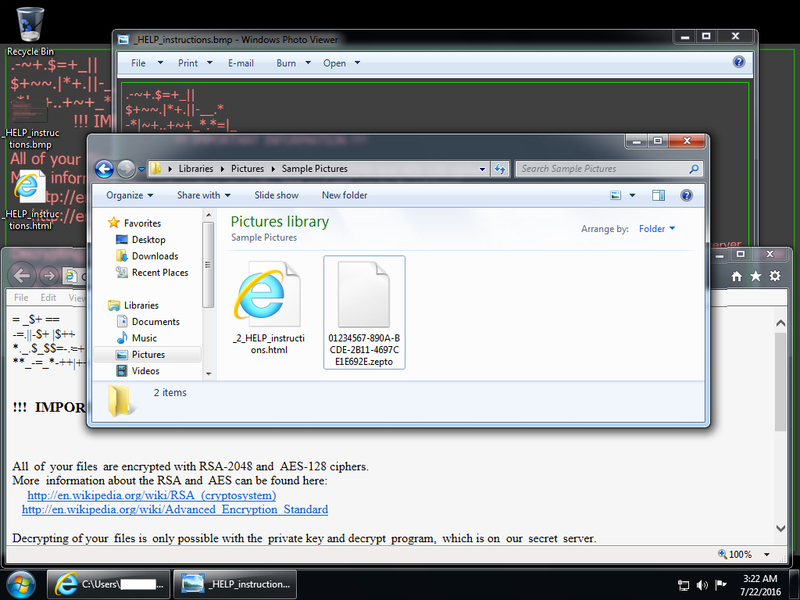 Shown above: Infected Windows desktop from one of the emails.